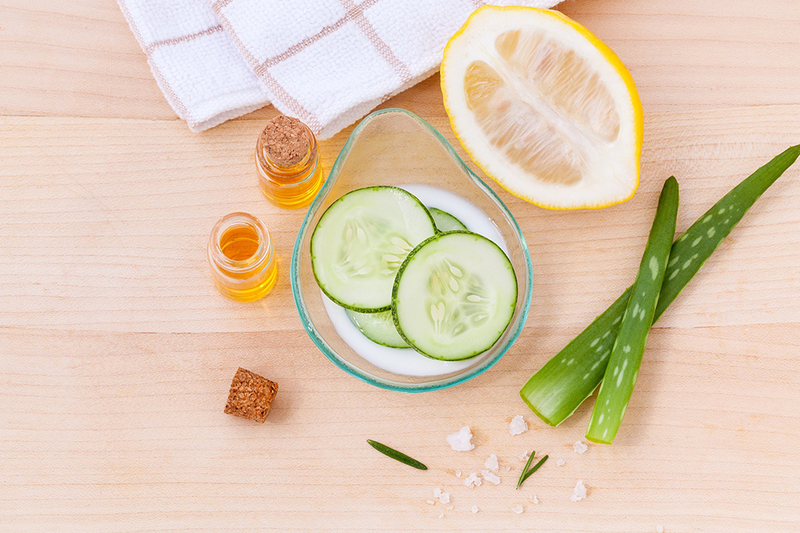 Face masks can be an essential step in your skincare routine, but they can also be a way to treat yourself to self-care. Some face masks with only the best of ingredients can break the bank, while opting for a cheaper version may have a recipe you don’t want lurking on your skin — the largest organ of your body. The good news is you can whip up face masks with ingredients you have in your kitchen that you can trust. Turmeric, a common spice, has anti-inflammatory properties to reduce the redness of acne and pain that goes along with it. The honey and turmeric in the face mask also brightens skin while the rice flour exfoliates and absorbs excess sebum to keep skin oil-free. Keep in mind that turmeric powder can stain your skin and be sure to test on a small area of your body before applying to your face. Start by adding rice flour into a bowl, followed by turmeric powder. Add in yogurt, then honey. Mix ingredients together until there are no large clumps. If the mask feels too thick, add in more yogurt. Apply evenly to clean, dry skin for 30 minutes. After 30 minutes, massage your skin while rinsing away the mask to gently exfoliate. Pat dry and follow with a cleanser and moisturizer. An aloe and green tea facial scrub is the perfect combination for smooth and moisturized skin. For best results, use only pure and organic ingredients to avoid anything that could irritate your skin. Cut open tea bags and add the dry tea to the wet ingredients. For more exfoliation, add more sugar. For more moisture, adjust amount of coconut oil. Our skin deals with a lot every day and can become congested, so it’s good to clear it out every now and then. Apply to face and let sit for 15 to 20 minutes. Bentonite clay will help draw out and absorb impurities when used on the skin. The egg whites in this mask contain astringent properties to tighten skin, while the lemon juice reduces the appearance of pores and the honey keeps in the moisture. Keep in mind that I am not a dermatologist, and you should always do your research before trying new things on your sensitive skin. Be sure to always test new products (homemade or not) on your skin prior to completely applying to avoid any adverse reactions.